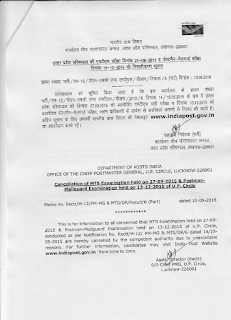 UP Post Office Exam had been cancelled now by India Post. Uttar Pradesh Postal Circle had organized written examination for Postman, Mail Guard and Multitasking Staff (MTS) posts in 2015. Due to some unavoidable reasons, UP Post Office Postman, MTS, MG Exam had been stands cancelled. 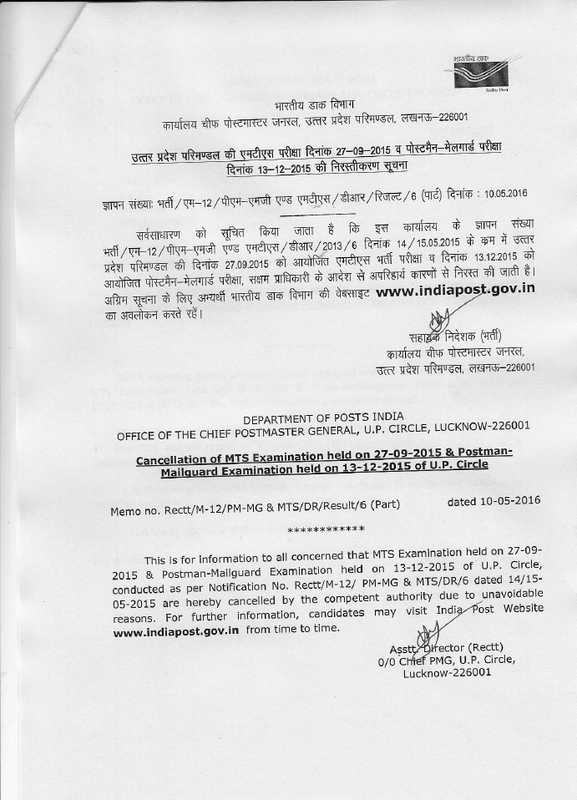 UP Postal Circle had conducted written test for Postman and MG on 13 December 2015 and MTS Examination on 27 September 2015. Those candidates who had appeared for these test, have been waiting for their results. Now the sad news is that the UP Postal Circle exams for Postman, MG & MTS had been cancelled now.